This is from I-95 northbound. Photo by Mapmikey, taken May 18, 2006. 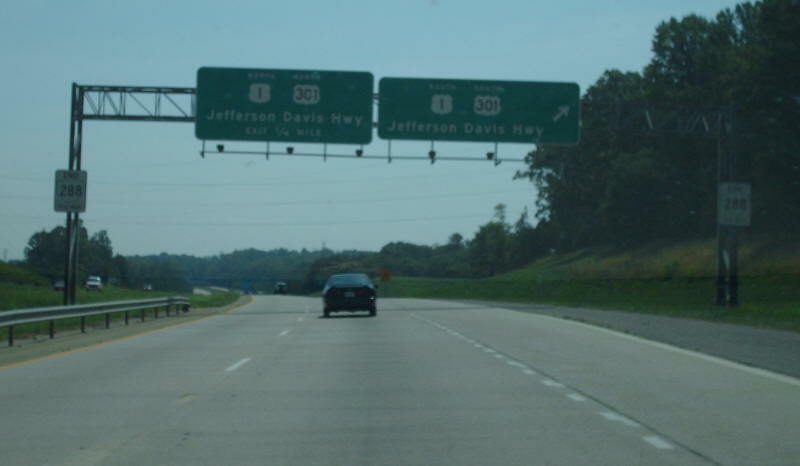 This is VA 288 southbound at US 1-301, with warnings that 288 is fixin' to end. Photo by Mapmikey, taken July 15, 2007. A little further south, with I-95 options presented. Photo by Mapmikey, taken July 15, 2007. 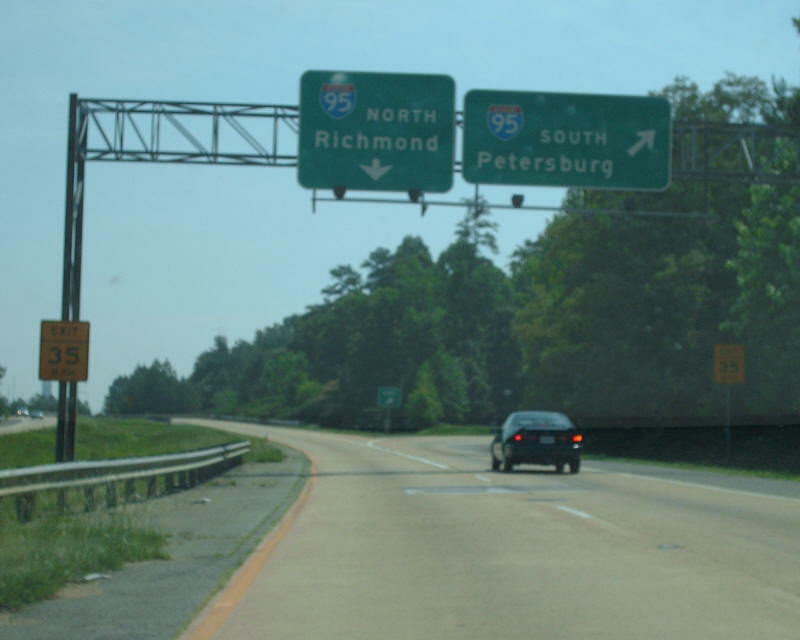 VA 288 south at the I-95 ramps. Photo by Mapmikey, taken July 15, 2007. 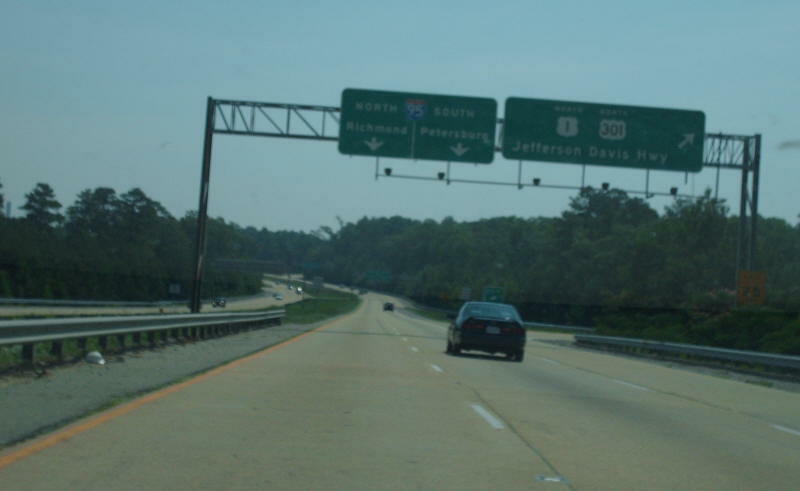 Approaching VA 288's northern end at I-64. Note the END posting. 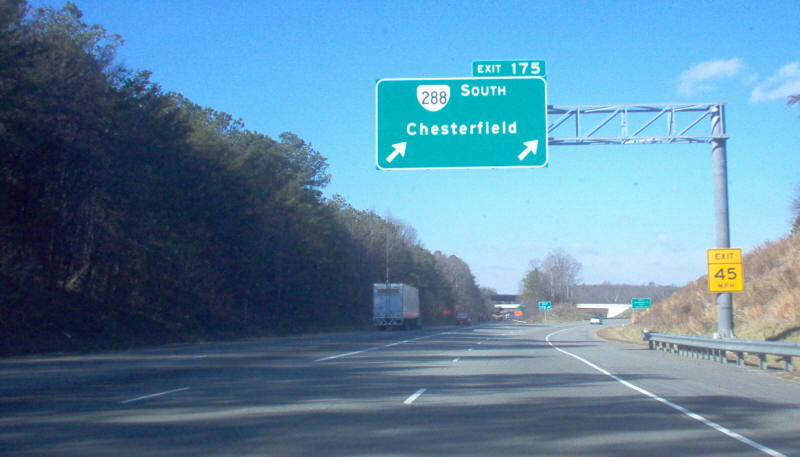 VA 288 north has ended here since 2003. Photo by Mapmikey, taken February 3, 2007. 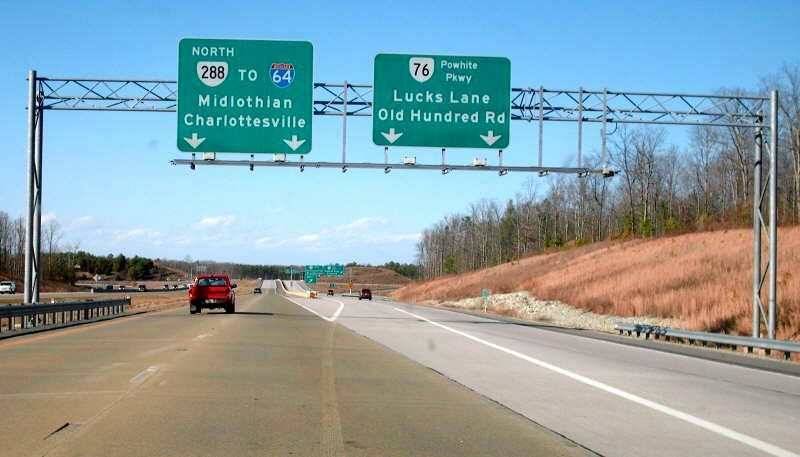 A little further away at the US 250 exit is warning of VA 288's end. Photo by Mapmikey, taken February 3, 2007. At the actual ramps for I-64. Photo by Mapmikey, taken February 3, 2007. 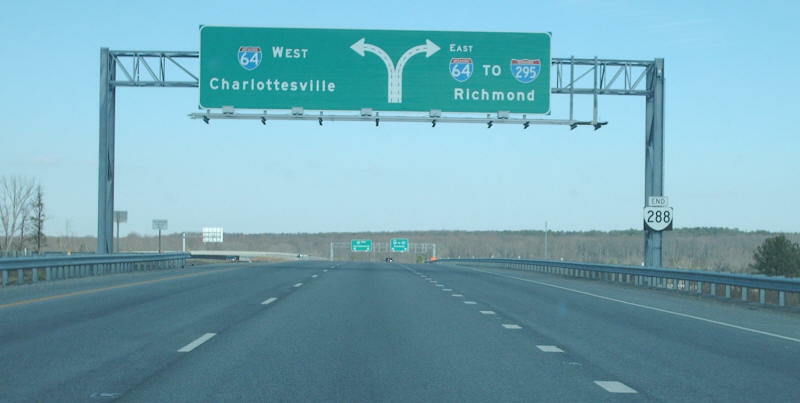 Approaching VA 288's northern end from I-64 westbound. Photo by Mapmikey, taken January 7, 2006. 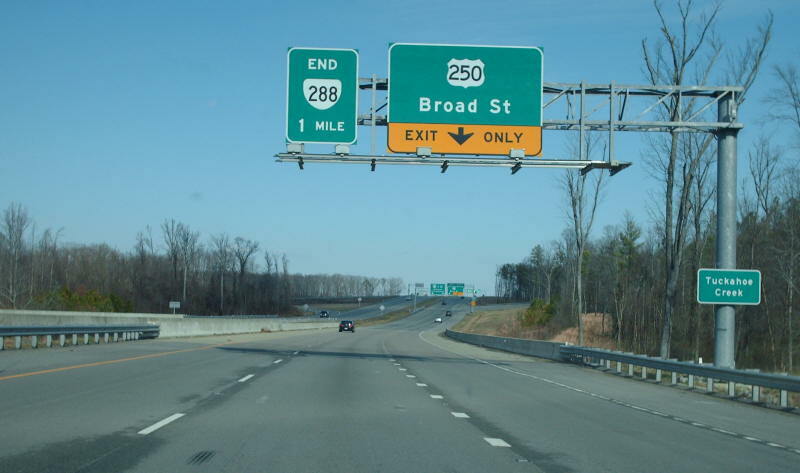 At the actual exit for VA 288. Photo by Mapmikey, taken January 7, 2006. This is VA 76 west at VA 288. Photo by Mapmikey, taken July 15, 2006. This is VA 288 north at VA 76. 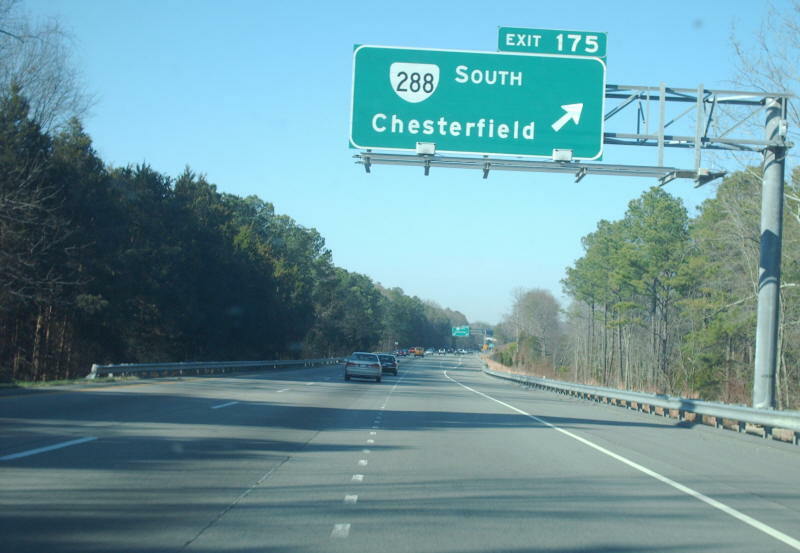 VA 288 north ended here from 1989-2002. Photo by Mapmikey, taken March 3, 2007. This is VA 288 south leaving VA 76. Photo by Mapmikey, taken May 5, 2006.